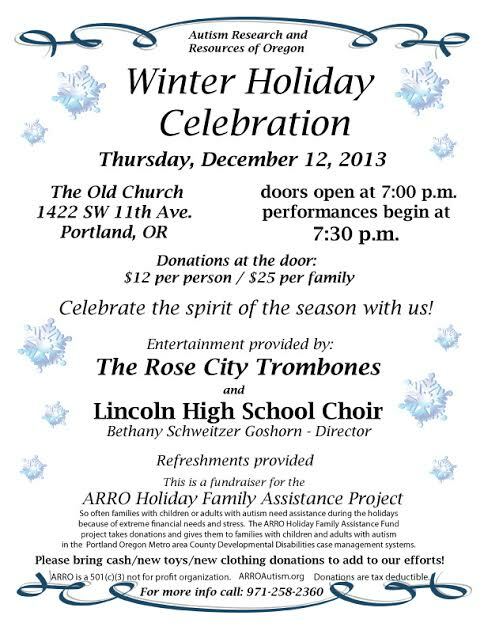 Join us for A Winter Holiday celebration at the Old Church in downtown Portland and enjoy an evening of entertainment with Lincoln High School Choir (Bethany Schweitzer Goshorn – Director) and The Rose City Trombones! Lincoln High School Choir (Bethany Schweitzer Goshorn – Director) and The Rose City Trombones! Join us for a holiday celebration and a fundraiser for the ARROAutism Family Holiday Assistance Project. So often families with children or adults with autism need assistance during the holidays because of extreme financial needs and stress. The ARRO Holiday Family Assistance Fund project takes donations and gives them to families with children and adults with Autism in the Portland Oregon Metro area County Developmental Disabilities case management systems. Please bring cash/new toys/new clothing donations to add to our efforts! ARROAutism is a 501(c)(3) not for profit organization. 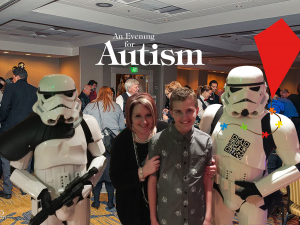 ARROAutism.org Donations are tax deductible.